Of all the Reese’s products out there, these eggs are my favorite. The ratio of peanut butter to chocolate is a bit different than with their ordinary cups. Translation: there is more of that amazing peanut butter filling in a Reese’s egg, and that equals happiness. Extreme, sweet, peanut buttery happiness. For the past few years, much to my joy, Reese’s started selling these in a smaller size by the bag. So I can just sit around and have as many as I want. That’s a good thing, right? 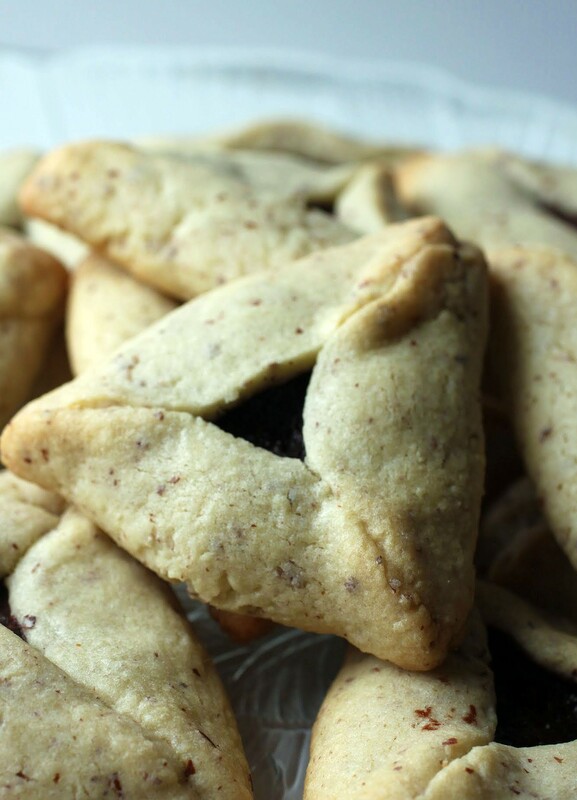 And they’re also small enough that they can fit inside cookies. Thus, this recipe! Quick disclaimer: I am not working for Reese’s. I have not been paid to promote their products. I’ll just do that for free, all the time. That’s love, my friends. Okay, on to this cookie. 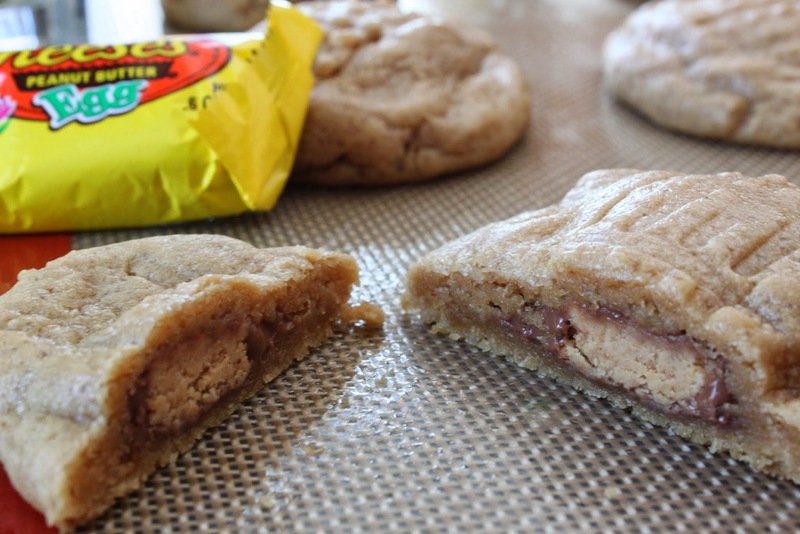 It’s a soft-baked peanut butter cookie nestled around a miniature Reese’s egg. It’s soft and decadent and wowie. Yes, I just said wowie. I meant to have a few bites after I baked them just to test them out. Then I ate two cookies in quick succession. So yes, they’re dangerous. I even got up and poured a glass of milk halfway through my first cookie to get the whole experience in. It was magic. 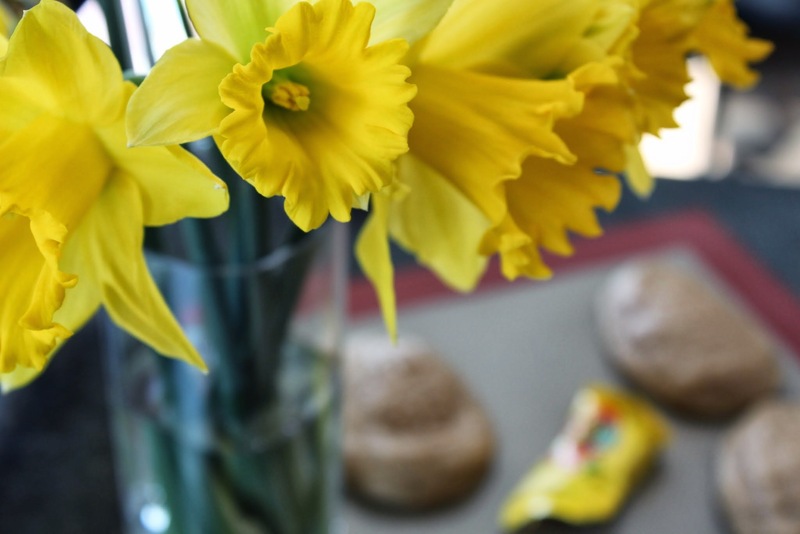 So were the daffodils I bought at Trader Joe’s. They just made my snack so happy! 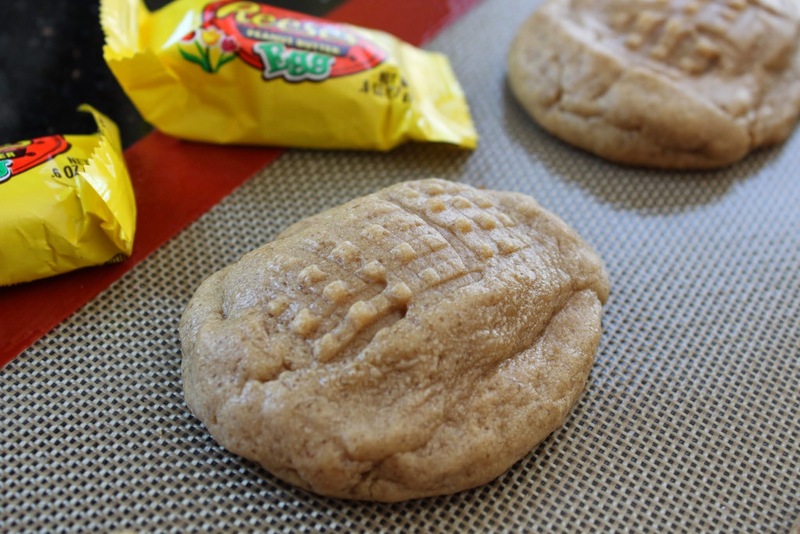 Bear in mind that unless you make a ton of these and buy lots of bags of those magical eggs, you will have peanut butter cookie dough left over. Um, is that a problem? It certainly wasn’t for me. I just made my soft-baked peanut butter cookies, to be featured in a few days. 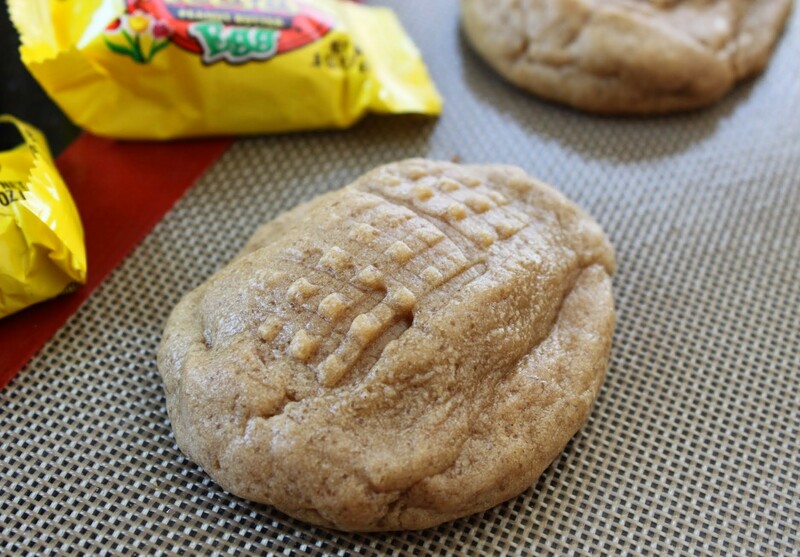 Or you could freeze the dough and save it for the next time you have a recipe calling for peanut butter cookie dough. Or you could just keep reading my blog posts and trust that I’ll be featuring plenty of recipes that use the dough. I mean, it’s me. Peanut butter and chocolate? Hello! Note that I put the traditional crisscross pattern on the eggs. It reminded me of a basket, for those of you that celebrate Easter. For those of you that don’t, the pattern just means that it’s a peanut butter cookie. Don’t take it too seriously, y’all. Oh, and don’t forget to chill your dough. The dough will spread while baking if you don’t, and nothing is less fun than anticipating a thick, pillowy cookie and getting a flat mess. Have I been blathering on again? Shoot. I really have issues with that. Let’s bake some cookies, people! Take the cookie dough out of the refrigerator and let it sit for 10-15 minutes. While you’re waiting, unwrap twelve mini Reese’s peanut butter eggs. 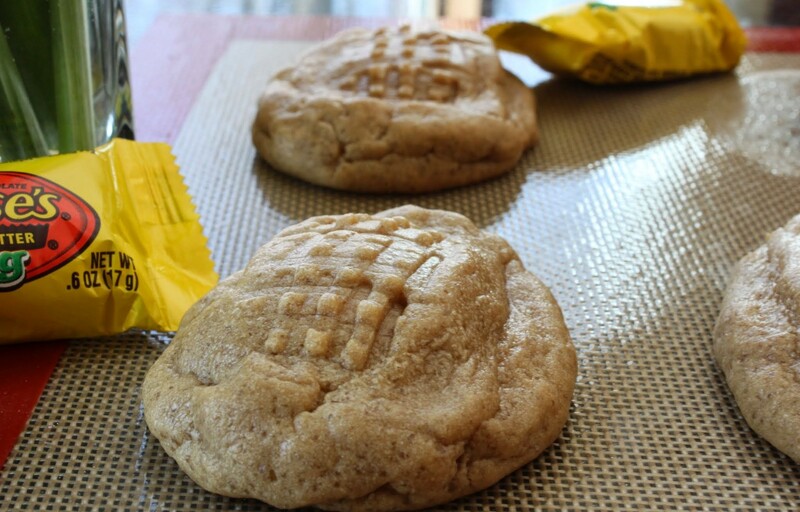 Using your hands to flatten out cookie dough pieces, take a tablespoon of dough and make an oval shape. Put the egg in the middle, and then pinch a second piece of dough around the top, sealing the edges together. You want the dough to cover the egg completely, but you do not want excess dough. Place the eggs on the cookie sheet or Silpat and, using the tines of a fork, make a crisscross pattern down the length of the oval. 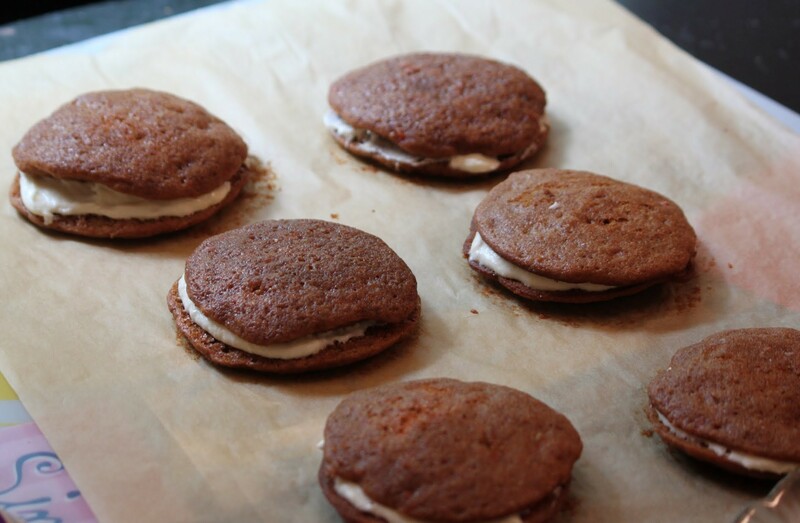 You can also sprinkle on sugar if you’d like some extra crunch to the cookie. I chose not to this time around. 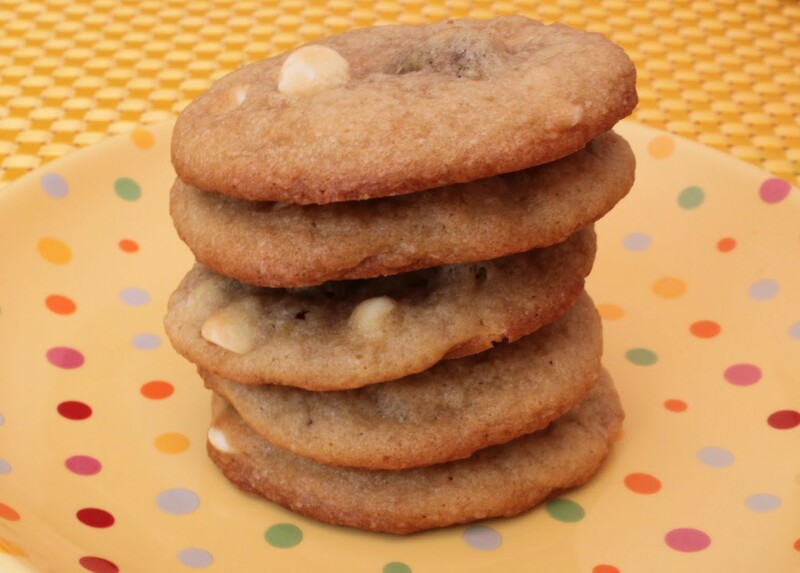 Bake the cookies for 13-15 minutes, turning the pan halfway through baking to ensure even browning. Let the cookies cool for five minutes. Then, remove to a wire rack to finish cooling. If you can wait that long to eat them, that is! Ooh. These cookies look so good! I am a cookie fanatic. These are perfect for Easter! Thank you so much! I’m heading out right now to buy more eggs. They’re addictive! Enjoy!